Procrastination – otherwise known as the art of putting off what we know we should be doing. And we’re all guilty as charged. 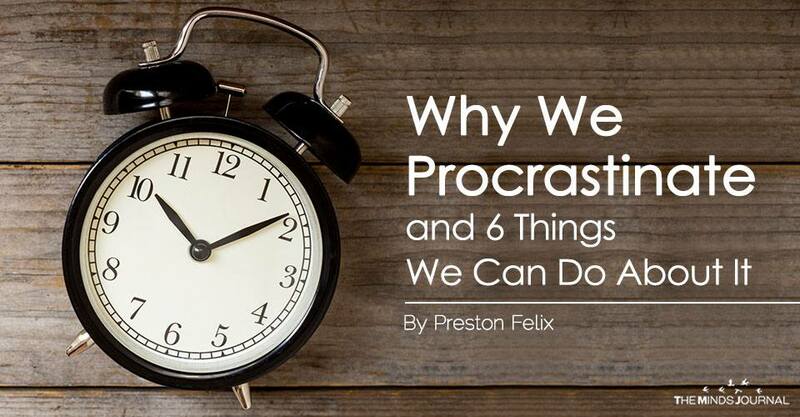 Here’s a look at the common reasons for procrastination. Kids don’t like to clean their rooms; some adults don’t either. But, people avoid more important tasks than cleaning. And it can easily be because they dislike them. Everyone has job-related tasks they dislike, and somehow, they always end up getting skipped over on that to-do list. – Make a game of the task, keep score as you are completing it, and give yourself a prize when you hit the finish line. – Try putting on some fun music while you do it. – Ask yourself how necessary the task is. Is there a way to eliminate it or ask for help from someone else? Sometimes, trading tasks can actually work. There are two situations that cause this feeling: One is that a task is just too large and you don’t know how to begin; the other is that you have too many tasks, all pretty urgent, and you don’t know where to begin. Students often find themselves in this situation. They have several essays or papers due at once, and they spend their time agonizing over how much they have to do rather than getting started. Sometimes, they will choose a solution that involves finding the best essay writing service and “farming out” some of those assignments. This works at least for the moment. The solution is usually to break all of these tasks, or one large task, down into smaller chunks, prioritize the sequence, and then hit #1. Have an actual paper list that you can check off or draw a line through as each tasks or segment is completed. The sense of accomplishment may act as a motivator to move on. Facebook; friends calling; emails that are just too demanding; that room that really needs to be painted; the sale going on that you don’t want to miss; the TV in the background that is “calling you.” Giving in to distractions is common, but when they become so attractive that you continue to put off getting to work, they are a problem. Eliminating the distractions is the single solution. Turn off the TV, your phone, and get a tool that will prevent you from accessing the internet for a set period of time. Only you can identify the distractions that are keeping you from work, and only you can get rid of them, if only temporarily.